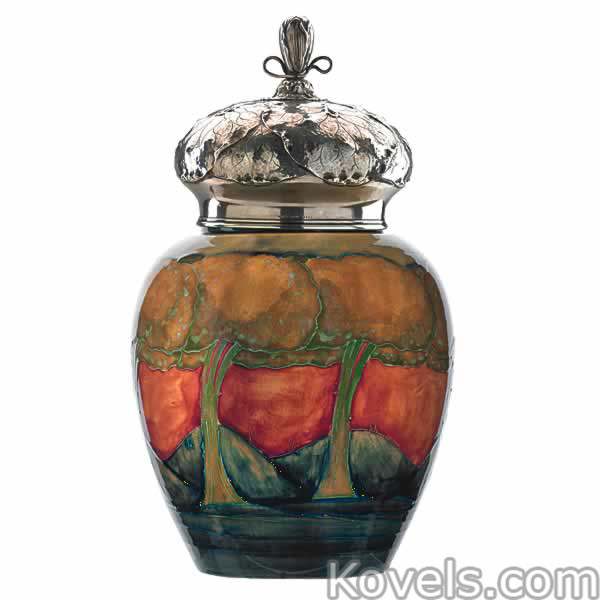 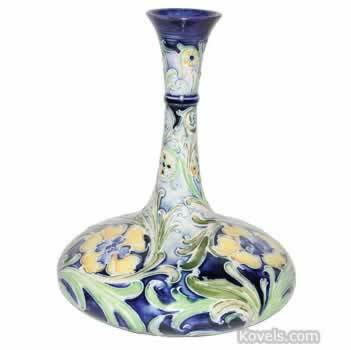 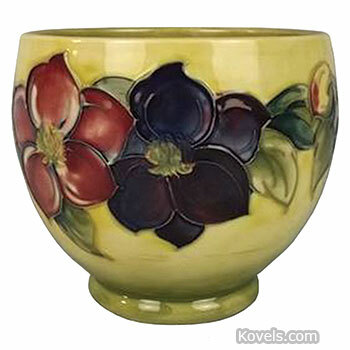 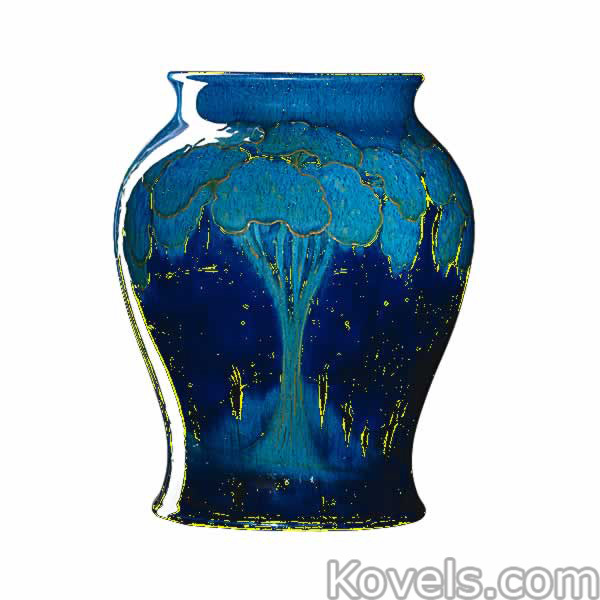 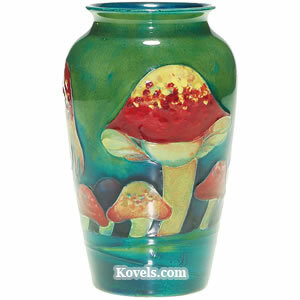 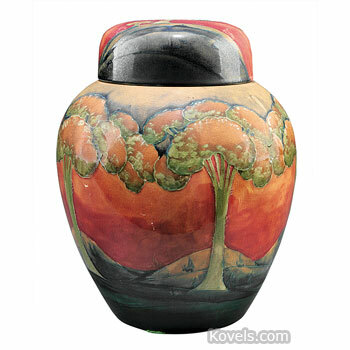 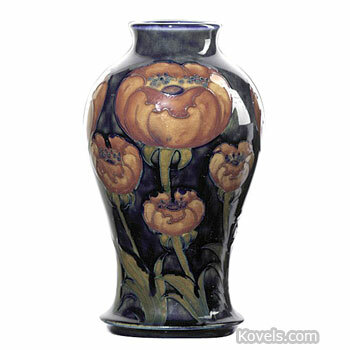 Moorcroft pottery was first made in Burslem, England, in 1913. 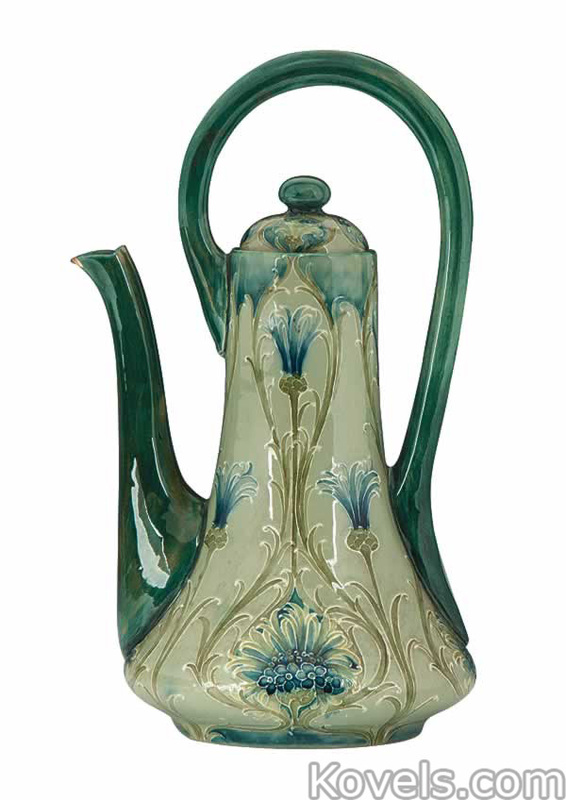 William Moorcroft had managed the art pottery department for James Macintyre & Company of England from 1898 to 1913. 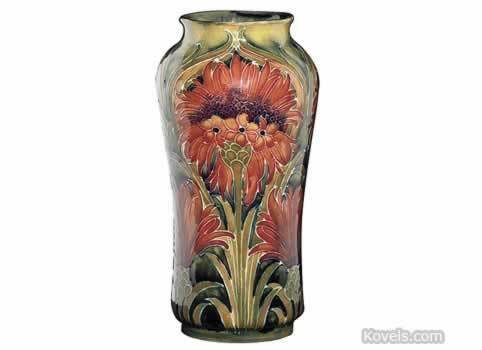 The Moorcroft pottery continues today, although William Moorcroft died in 1945. 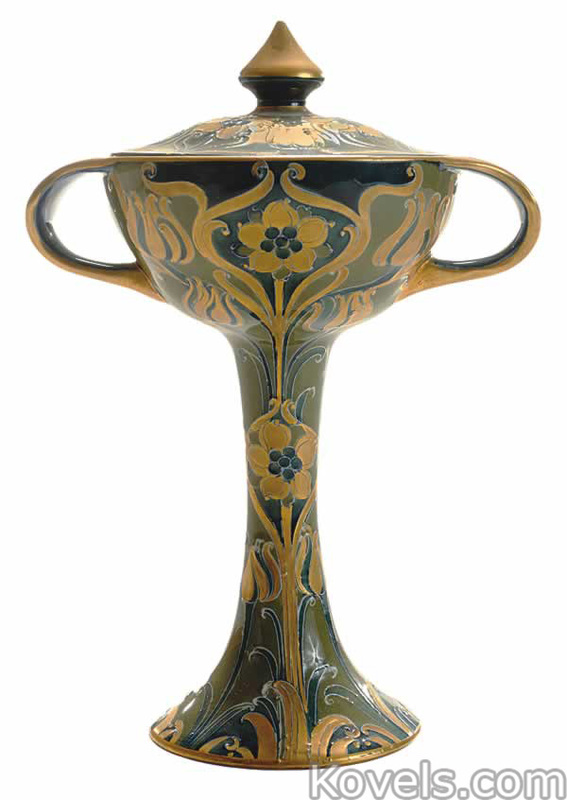 The earlier wares are similar to the modern ones, but color and marking will help indicate the age. 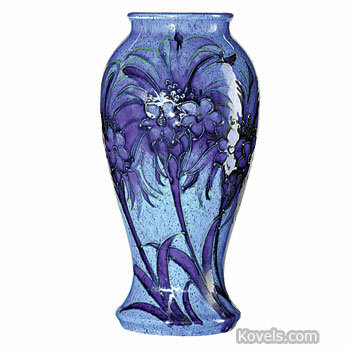 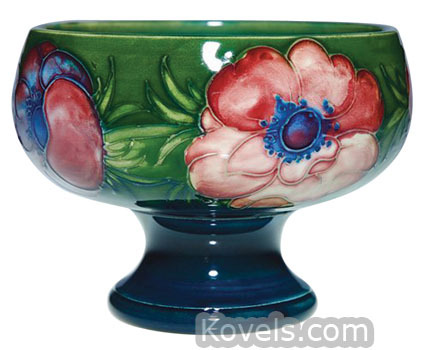 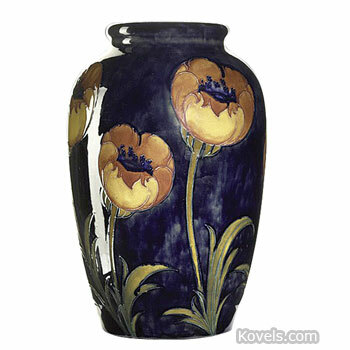 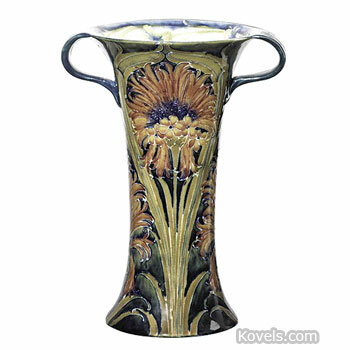 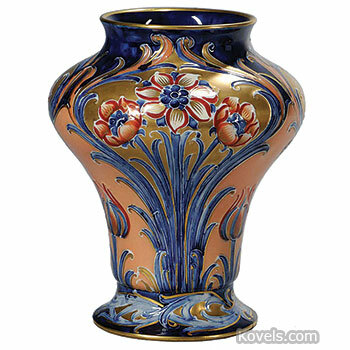 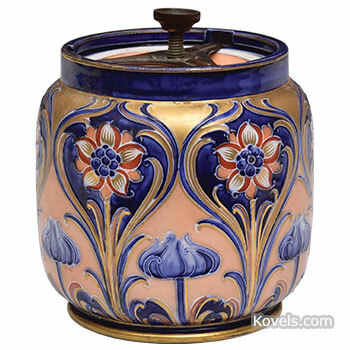 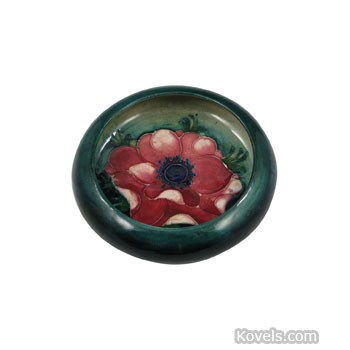 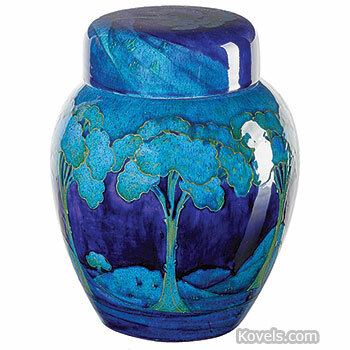 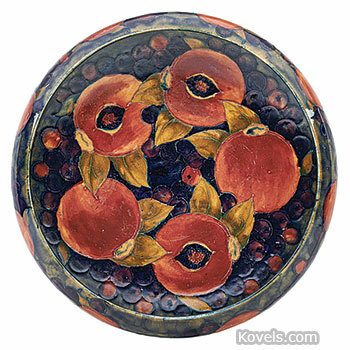 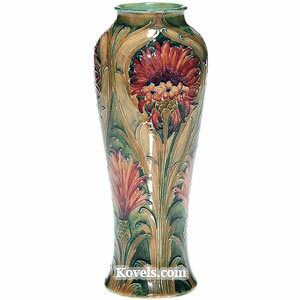 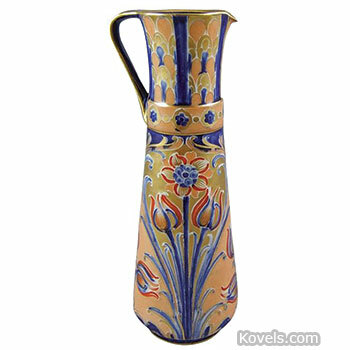 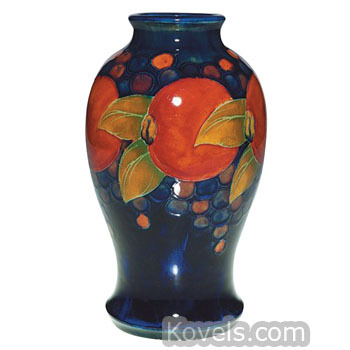 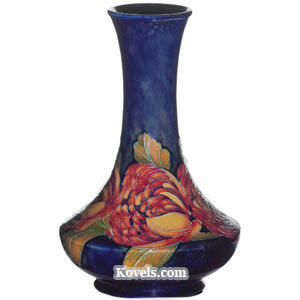 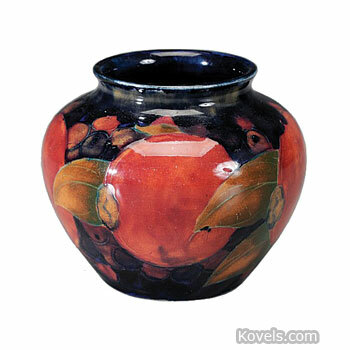 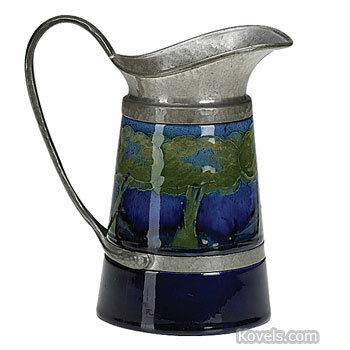 Moorcroft's most familiar wares are decorated with floral and fruit designs on dark blue backgrounds.